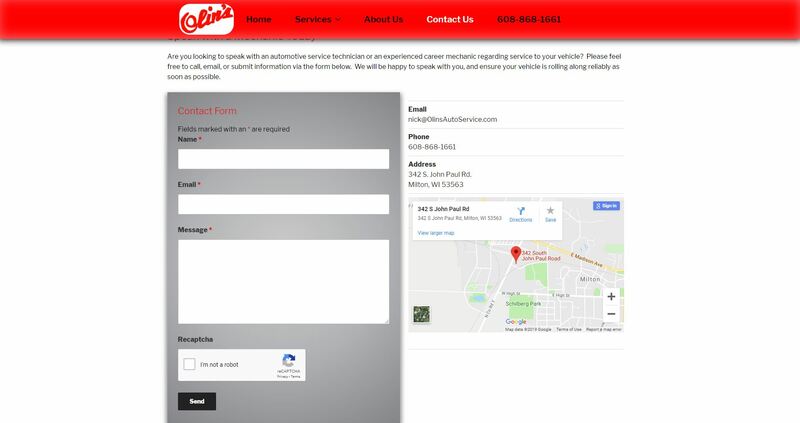 Full redesign & rebuild of site from former DotNetNuke platform to robust WordPress platform. Extensive industry research regarding several key services offered. Wrote new page content from research. Extensive SEO coding to site in regards to industry research and Google Analytic reports. Created multiple unique CSS3 visual effects to site, aimed at both brand-enhancing site and increasing page visitation statistics, with ultimate goal of reducing bounce rates and increasing Google page rankings. 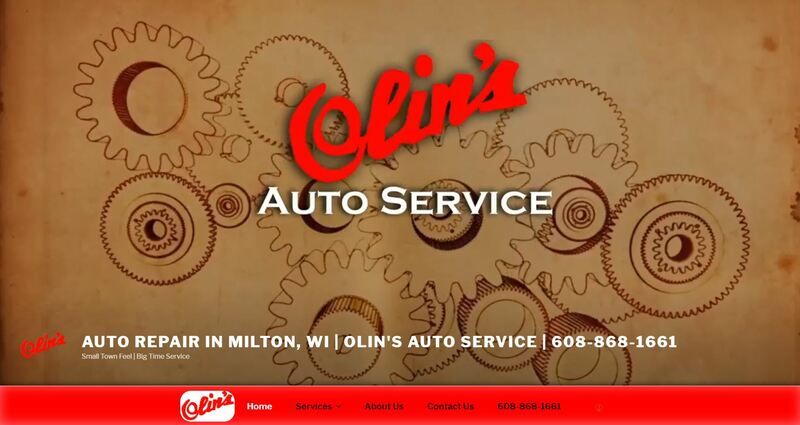 Olin’s Auto Service is a Father & Son owned and operated auto mechanic shop in the hart of Milton, Wisconsin. 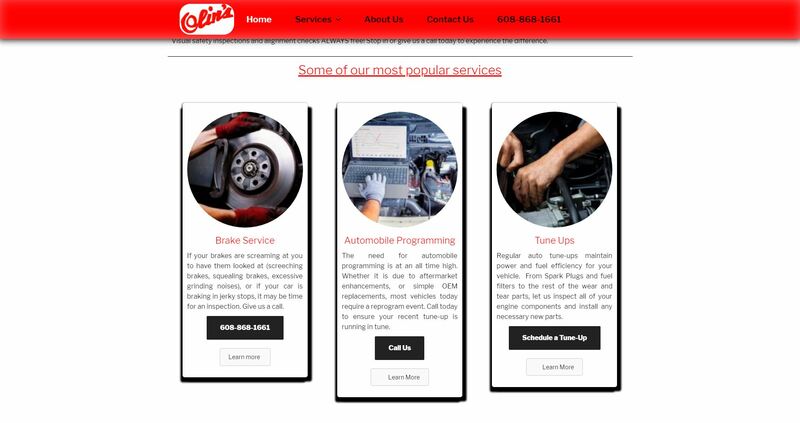 Father, Dan Olin, has been working on cars since 1984, having left a major dealership shop years ago to start his own business. With more than 30 years of auto & engine repair experience, Dan has worked on just about every make and model car. He enjoys a good challenge mixed into the daily grind of wrench turning and auto tuning.